Audie Palmer has spent a decade in prison for an armed robbery in which four people died, including two of the gang. Seven million dollars has never been recovered and everybody believes that Audie knows where the money is. For 10 years he has been beaten, stabbed, throttled, and threatened almost daily by prison guards, inmates, and criminal gangs, who all want to answer this same question, but suddenly Audie vanishes, the day before he's due to be released. Everybody wants to find Audie, but he's not running. Instead he's trying to save a life...and not just his own. Kept my attention from start to finish, quite a diversion from the authors previous books. What did you like most about Life or Death? 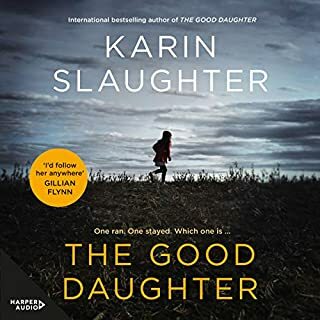 I loved listening to this one (even with the male narrator sometimes creating an 'interesting' southern woman's voice). The story is an 'unfolding' one which can be slightly confusing at times but seems to clear up a few minutes later. The main character is the likeable Audie who escapes from prison the day before he's meant to be released from a 10 year armed robbery jail sentence. I loved how the story started to make more sense as I went along. Gripping & great, 5 stars! This book had me from the very start and kept me guessing the whole way through! 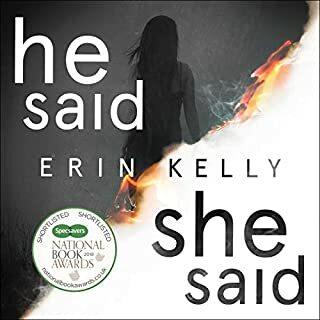 I read the book first and six months later listened to the audiobook. 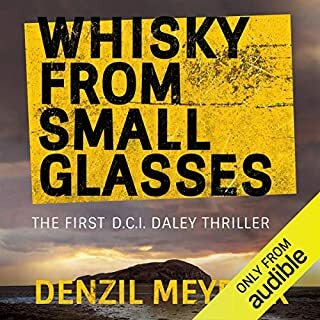 I read quickly, especially thrillers, so I miss nuances that I pick up by listening to a book. It's all about why would a man escape from prison the night before he was due to be released, after serving 10 years? How he planned the escape and the escape itself are gripping, you feel as though you are there with Audie. Those who helped him on his way are memorable and the back story will tug at your heart. 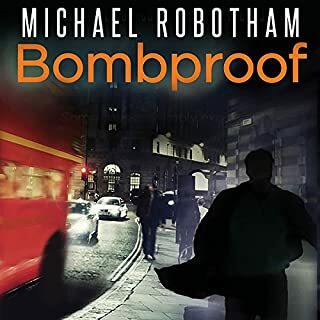 I love all of Michael Robotham's books, Boomproof is another standalone, but Life or Death is by far my favourite! Excellent ... best book I have listened too!! Do yourself a favour and listen to this story ... So well executed ... loved it! This is one of the most memorable stories I've ever heard. It's a love story, a crime story, an action story and an adventure story. You will love it. Never a dull moment. Enjoyed the book however, I figured the twists out half way through, kept dragging on. Gripping impeccable narration by John Chancer. I didn't want this story to end. So pleased I didn't miss this work by the ultimate of crime writers. Kept interested with twist s and turns ,till a dramatic ending . Another great read, fantastic! I came across this book after checking out listener pages of people I used to follow. I must say again how much I dislike the way Audible has redone the new listener page. I have written them and would like to suggest that others do so as well, maybe if they get enough complaints they will change this new format. One can only hope! Great book! Robotham is an excellent writer, and I have always enjoyed his books, but this one really captured me for a few days! Sure, there are places where it strains credibility, but most good stories do that now and then. Admittedly, the fact that it was set in south Texas increased my interest, but this story would play just as well in any other setting. I was a bit surprised that an Australian author captured names, places, and demographics perfectly. Again, though, this story would work well anywhere. A slice of prison life and temporary(?) freedom mixed together that brings out the true humanity of its characters. I was pulling for the "hero" throughout, and was sorry when the book ended. Michael Robtham is a genius. I am working my way through everything he's written. He doesn't disappoint ! 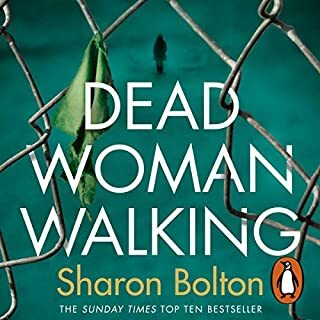 I recommend this book to all that enjoy a good thriller/crimestory with mystery feel to it. What was one of the most memorable moments of Life or Death? So many memorable moments in the story, so many big characters. What does John Chancer bring to the story that you wouldn’t experience if you just read the book? John Chancer is so very good narrator and brings depth to the story. Just you read this book, you will not regret it. Better than expected, unique way of investigating a crime and of describing the details of earlier events, police and the justice system on trial. Great story of inmate humanity against the odds, Ardie and Moss were great characters. Entertaining story and started out well but the jail break was not very realistic! 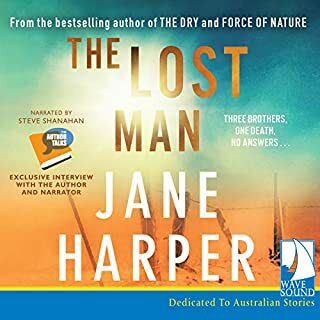 The story developed quite well and the narrator was very good I'd say slightly short of excellent and a taut story line with lots of twists and slow reveal of the past was a wonderful way of handling a pretty straightforward story which kept an air of mystery and excitement going throughout! The ending was below par but still the treatment of the characters was excellent! One complaint though, the cop should have been handled better and the family life needed more elucidation! The whole good father bad guy thing and the revelation of the actual father and finding that your hero was not the real deal could have been done better. The writer should have killed the lead character! This was the first Robotham book that I read/heard (got the Kindle version also) and this will not be the last! This was one of my favourite books of 2017. I really liked the way the story worked to complete the total picture, weaving memory, evidence and present day. 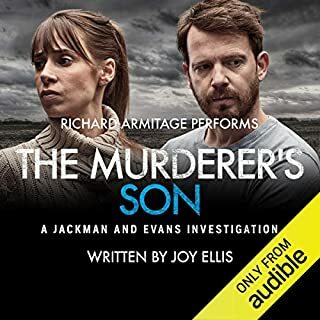 I have never listened to John Chancer before, but he was excellent at performing different characters and genders, always with an ear to the urgency and pace of the story. I would reccomend this book. Admittedly. 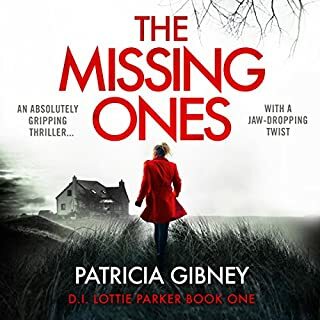 I was a bit disappointed to not find my usual favourites starring in this book but I soon forgot all about them as Michael Robothom once again wrote a thriller that kept me buys and kept me listening. 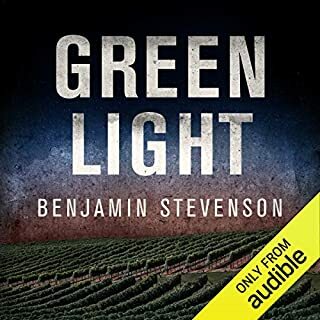 I listened to this book on audio and loved the production. The story is intricate. At times almost slow but never really slow. A bit predictable but not completely. It is a lot of almost things before it turn a bit and becomes more. In the end though the book did what I want from a book. Escape. Fun. Relax. So if you are a fan. Do pick up a copy. If your not a fan...try this book. It will change your reading list forever. 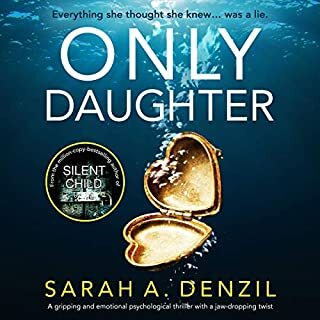 I pre-ordered this book thinking it would be the next in the series featuring the forensic psychologist Joe O’Loughlin so was surprised when the book turned out to be set in the USA and involve an escapee from high security prison. The early chapters made me think I’d made a mistake in choosing this book as the violence and brutality of escapee Audie Palmer’s prison life. Fortunately, thereafter the book becomes much more intriguing as various agencies try to capture him. 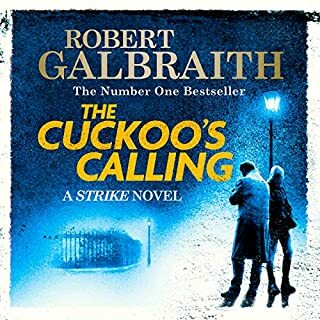 A string of interesting and memorable characters are introduced and one is bowled along by the compelling story that gathers pace to end with a surprising but plausible outcome. 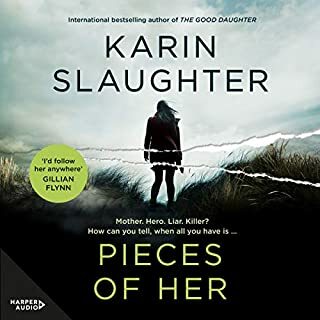 Apart from a couple of supernatural interludes which sat awkwardly in the narrative this is a gripping and well-narrated book. Would you try another book written by Michael Robotham or narrated by John Chancer? My loyalty lies with Michael Robotham. This book was weak, but I am sure Michael Robotham will deliver again. Unfortunately I am not a fan of the narrator nor this book. 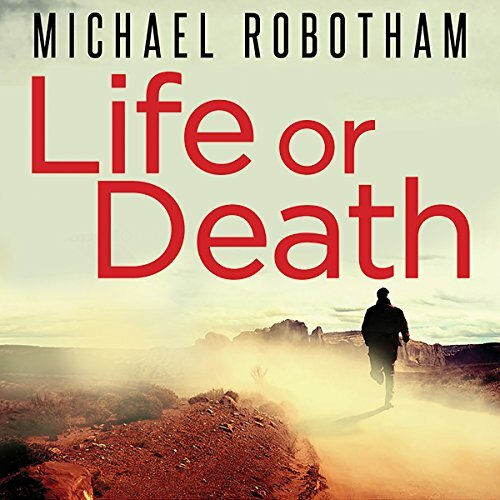 Would you ever listen to anything by Michael Robotham again? I have loved all of Michael Robotham's books. Especially the Joe O'Loughlin series which I have listened to quite a few times! Unfortunately 'Life or Death' was an epic fail for me. 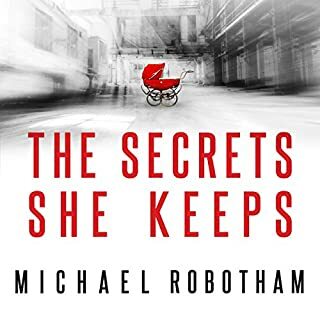 I struggle to believe that Michael Robotham had written this. This book has been such a disappointment. The performance was so 'hammy' and heavy handed. I would cringe every time John Chancer attempted an accent and character's voice. What character would you cut from Life or Death? Hard to say. I really disliked the main character Audie Palmer. I never write reviews but I was so disappointed I felt compelled to do so. What did you like best about Life or Death? What did you like least? The main character was well developed. I didn't like the constant return to the love interest - it got boring. Listening blindfold I would have thought I was listening to a John Grisham - and if you like his work then you'll enjoy this. There's also a touch of the Shawshank Redemption about it too. 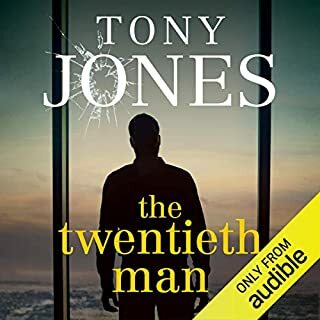 I found the story a little bit predictable and Audie, the main character, just a little bit perfect - but the listen was thoroughly enjoyable nevertheless. It seemed to me very different from what we are used to from Michael Robotham - but I would still recommend. I have listened to 5 hours and 40 minutes of this book and I don't think I can continue. At least 4 times the conversation between two people has been with one whispering and the other talking at nominal volume so you have to rewind, have hand on volume and up and down depending on who is speaking. What a ridiculous way to narrate a book. I just can't summon up enough interest to find out what happened to either party. The plot is very well thought out, and the reader is kept ignorant in the right way (at least for me) up until the very end. Chancer is an excellent narrator, and in essence, I am extremely happy with this title. A book without Joe O'loughlin...Oh Joy! If you could sum up Life or Death in three words, what would they be? I really enjoyed them all. 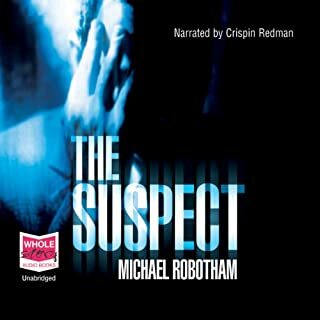 Each character had a apart to play and were easily created in my mind with Robotham's excellent dialogue and a really good narration. Forget what people might say, the choice of an American was perfect for this book. Yes I love Sean Barrett, but not for this gig. 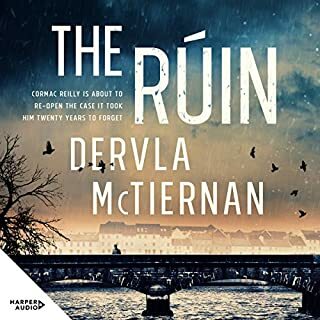 I would reccomend this book I thoroughly enjoyed it but it's not a joe o'loughlin novel and yes I liked those too. But Joe was beginning to get on my nerves a tad and how many times can your wife and kids be kidnapped, tortured or put into protective custody. Nice one Michael, more like this please. The plot promised to be an interesting and unusual one and I looked forward to the unwinding of the full story and to the baddies getting their dues! The book failed to deliver in both departments and generally I found the characters and the story-line to be quite unbelievable. The plot in general was an interesting one but as time went on the whole thing lacked credibility. I found the lead character to be pretty uninspiring overall and that spelled the end for me! Sorry, just can't bring one to mind. Never thought I'd say that about a Michael Robotham novel. Again though I must mention that the narrator John Chancer does a tremendous job. Pity he hasn't got better material to work with. Do you think Life or Death needs a follow-up book? Why or why not? No. Simply not good enough. 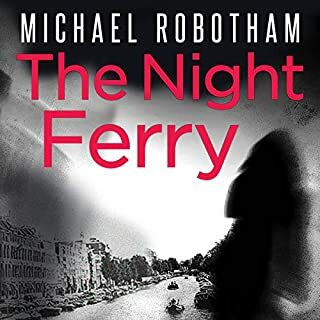 This won't put me off reading any other Michael Robotham novels. It's the first one of his that I've not liked - at all. Would you listen to Life or Death again? Why? 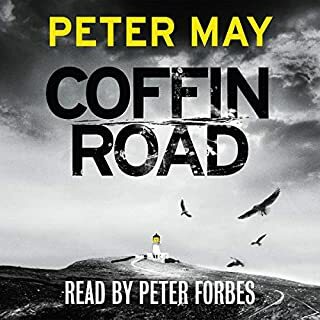 Enjoyed this book so much I couldn't stop listening and was disappointed when it finished.